[dropcap]F[/dropcap]or basically my entire tenure as a Yankees fan, I’ve often wondered why the team didn’t have a mascot. The Mets, terrible as they may be, have Mr. Met. The Phillies have the lovably green Philly Phanatic. 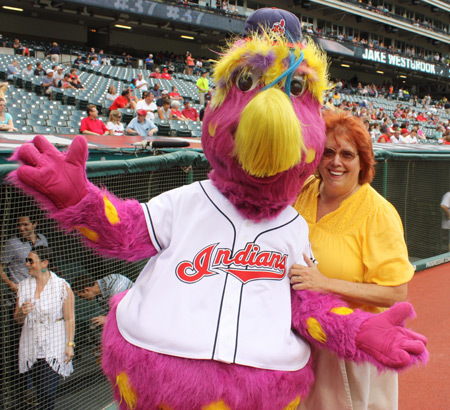 Hell, even the Indians have their ugly mascot Slider. 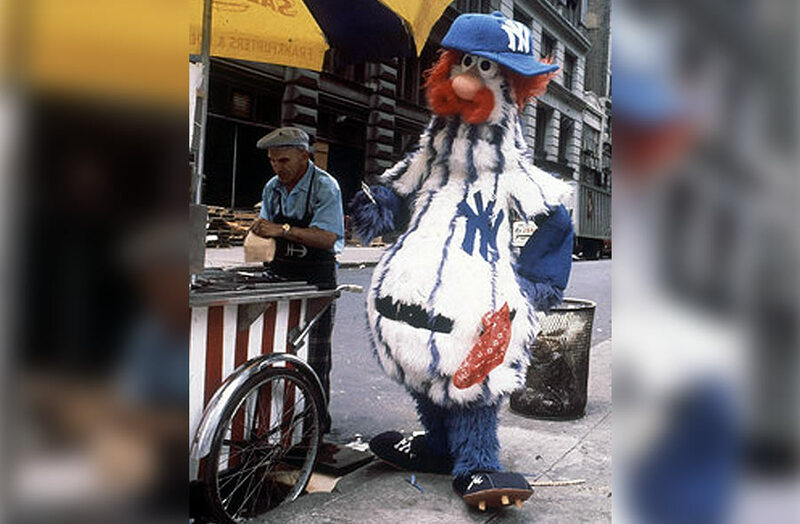 Wouldn’t it be fun if the Yankees got one of those wacky, giant, hairy things to make fans laugh? No. The answer to that question is “absolutely not.” And Dandy’s the horrifying reason why. Let’s take a look back at a less than memorable moment in Yankees history. OK so, first of all, how did this monstrosity come about? Well, the year was 1979, and George Steinbrenner was in his sixth year of Yankees ownership, and, I assume, tiring of seeing teams make money off of their fan-friendly mascots. According to a piece in the Wall Street Journal from 2010, Steinbrenner contacted Wayde Harrison and Bonnie Erickson, owners of Acme Mascots and the creators of the Philly Phanatic, and contracted them to give the Yankees a new friendly face. The two got quickly to work on the project, and soon presented Steinbrenner with Dandy. After a quick argument about what shade of blue Dandy’s costume should be (there was no way George was letting that thing be cobalt blue instead of Yankee blue), a deal was struck, and Dandy was leased for three years. I literally could have done that all night long. We basically wrote a Seinfeld episode about it (it ends with Kramer, stuck in the Dandy suit, running away from a mob of drunk Yankees fans). Anyway, the whole thing didn’t exactly work out as everyone had hoped. 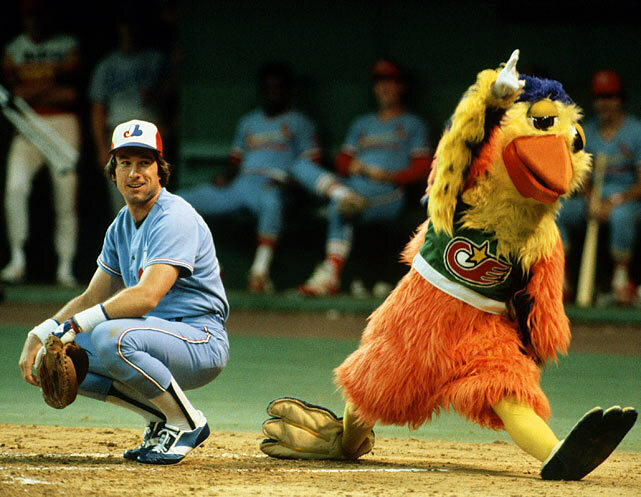 Unfortunately for Acme Mascots, George quickly soured on the entire experience too, partially because of the San Diego Chicken. Apparently, while on loan to the Seattle Mariners, the chicken threw a hex on Yankees legend Ron Guidry, causing Lou Piniella to chase the bird around and throw his glove at it. That led to Steinbrenner exclaiming, just two weeks before Dandy was due to be debuted, that mascots had no place in the game. Oops. Is this son of a sailor the reason Dandy failed? Despite that fiasco, Steinbrenner had to honor the lease he had signed. In typical Steiny fashion, he basically banished Dandy to the upper deck, where he would serve out the rest of his time on the team. After the lease ran out, Dandy was never seen again, and the Yankees would like to pretend none of it ever happend. Can you blame them? It’s still a sad story for the Acme Mascot company, though. Does that gangly, feathery weird looking Thurman Munson clone look like it has sass, or Yankees swagger? He looks like he might have an alcohol problem, possibly even the gout, but swagger and sass? He looks like he would stumble into a child’s birthday party, or whatever event he was contracted out to, scare some kids and pass out on the lawn while eating all the birthday cake. I wouldn’t want this thing representing me in any manner, and I’m not a multi-billion dollar entity. This is definitely one of those wacky early 80s Steinbrenner schemes that went wrong, but I’m glad we can laugh about it together now. I’m pretty sure if “The Boss” was still alive, he’d sue me just for writing this post. Actually, Hank is a bit of a loose cannon. Maybe it’s better if we all forget we ever read this post, shall we? Otherwise, you’ll be banished to the upper deck to sell macaroni.